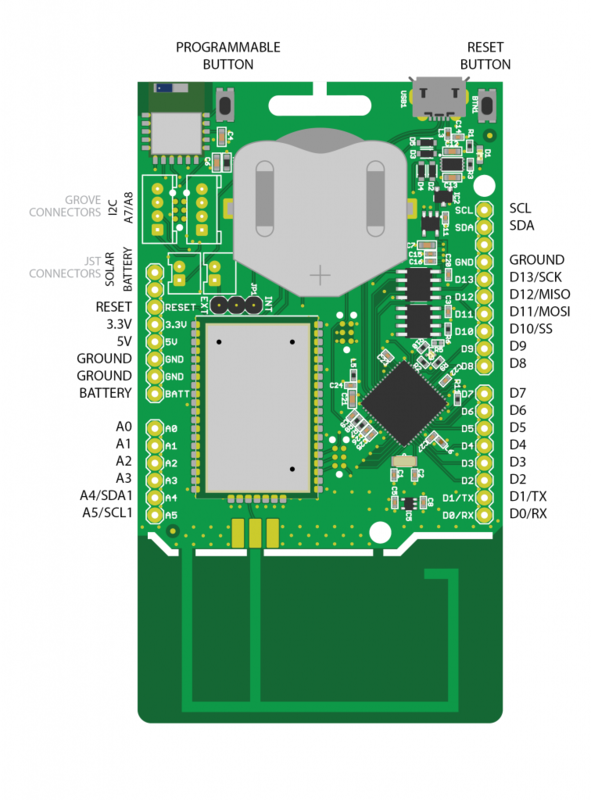 This is the ExpLoRer board that we designed for Microchip. Intended use The ExpLoRer is a development/evaluation tool intended for the evaluation of Microchip wireless modules in a Research and Development laboratory environment. It is not a Finished Appliance. Manufacturers who integrate ExpLoRer in a Finished Appliance product must take responsibility to follow regulatory guidelines, for example for CE marking. Warning Do not short circuit the Li-Ion coin cell or any of the pins of the ExpLoRer because of risk of heat, smoke, and fire. Warning Take appropriate precautions while handling the PCB assembly because of exposed components. Warning Do not ship the Li-Ion coin cell outside the battery holder. Warning Do not alter the device into regulatory non-compliant modes. 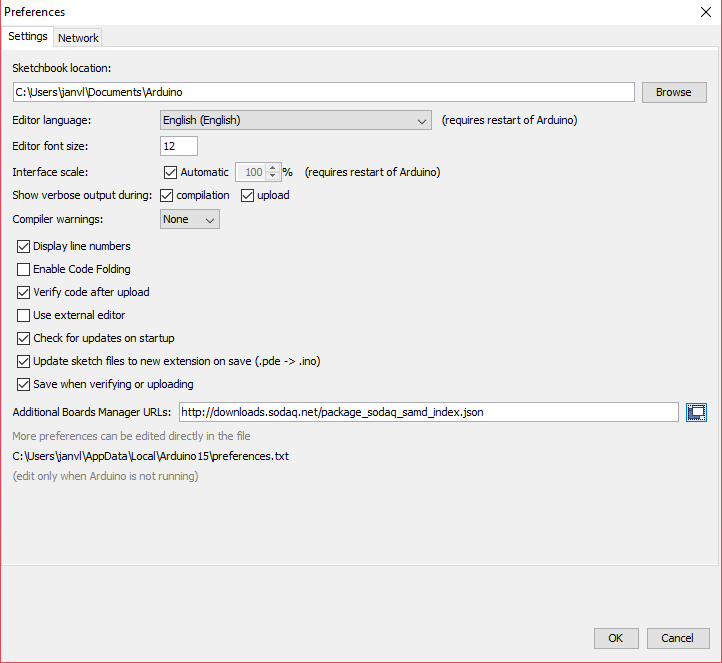 To use the board in the Arduino IDE you need to load a custom board file for the SODAQ SAMD boards. 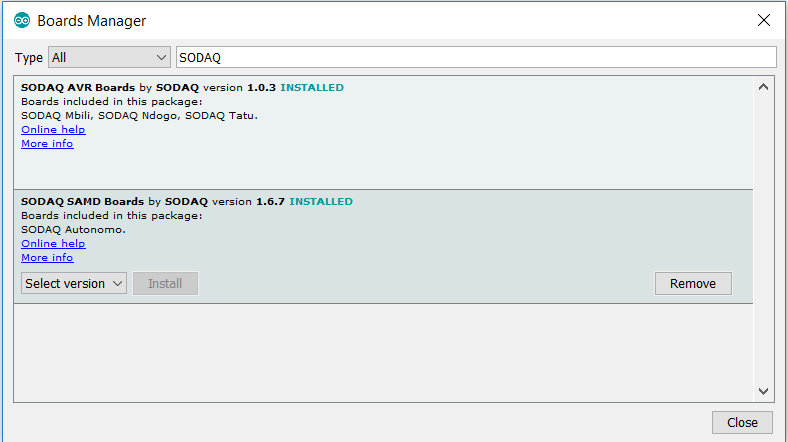 Now that you’re using the SODAQ ExpLoRer board files, you’ll be able to use our handy pin definitions. Our pin definitions allow you to address by name instead of pin number. Serial – Serial is attached to pin D1/TX and D0/RX. Serial1 – Is connected to the Bluetooth Module. 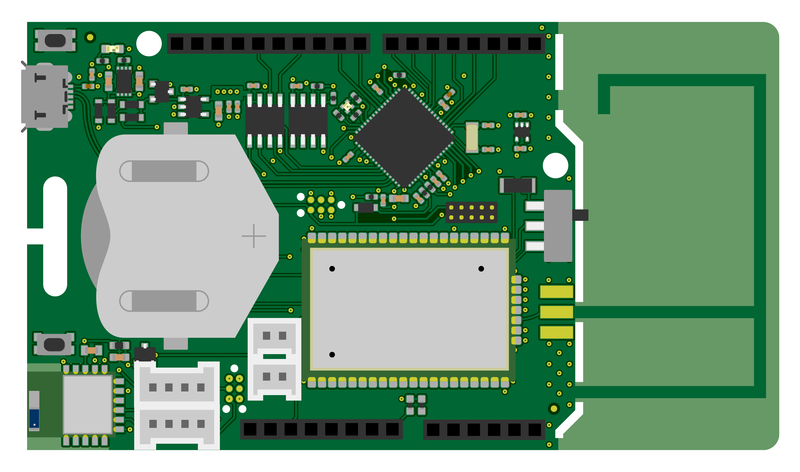 Serial2 – Is connected to the RN2483 LoRaWAN Module. The ExpLoRer can run on a battery. By default the ExpLoRer is delivered with a coincell battery. To charge the battery you need to connect an usb and/or solar panel. The ExpLoRer can only run on one battery at the same time, move the jumper to connect the internal (coincell) or external battery. It will only charge the battery connected with this jumper. Connect any 3.3v – 5.2v power to the solar connector, this source will charge to battery. To safe power it is possible to disable the usb connection. If the reset button is pressed twice within a second the current sketch will not start and the board will go into bootloader mode and is expecting a new sketch. On your computer you will see a different com port.